The project ‘Towards a World Forum on Raw Materials’ (FORAM) will develop and set up an EU-based platform of international experts and stakeholders that will advance the idea of a world forum on raw materials and enhance the international cooperation on raw material policies and investments. 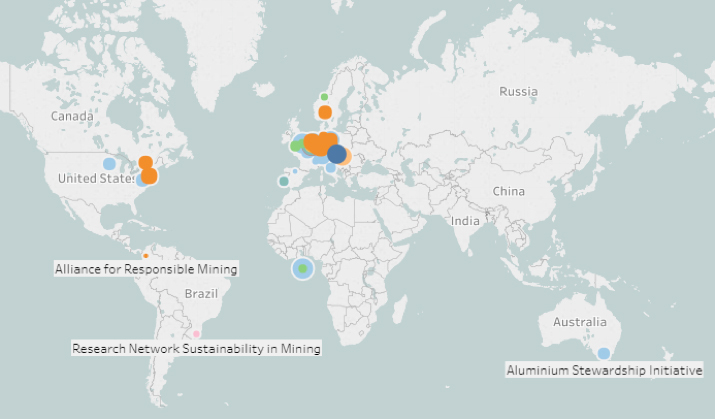 The FORAM project mapped multi-stakeholder initiatives linked to raw materials. More than one hundred initiatives are included in the ‘Geo-Map’, with information on the year of establishment, the organizational structure, the number of stakeholders, the location, and a link to the website for each initiative.